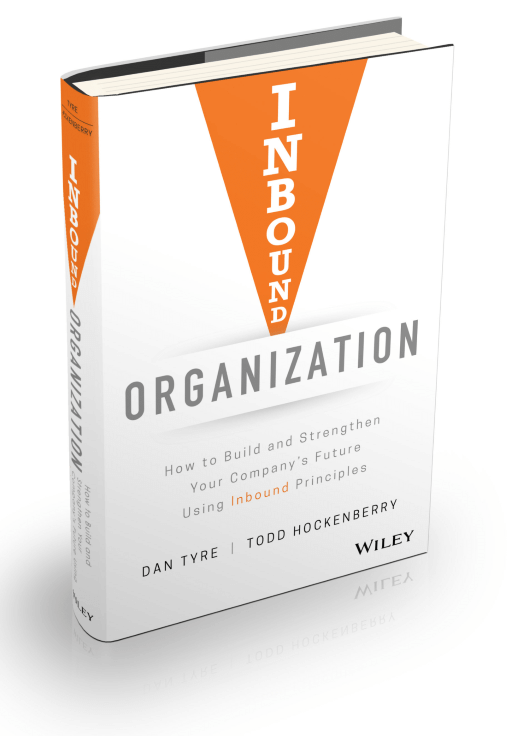 Inbound Organization shows leaders how to build their company's future around Inbound principles and strengthen the structural foundations necessary to deal with the changes in buyer behavior. e-books, and templates for deeper dives into specific topics. IMPACT Elite gathers together over 700 industry leaders on Facebook into a thriving community. IMPACT Live is a hugely successful annual gathering of sales and marketing leaders. Oh, and they’re a HubSpot Diamond Partner Agency that offers strategy, consulting, and implementation services. IMPACT is an inbound organization. How did they get there? We grew by hiring some interns, getting some local work, and bringing on some more people. Just like any other business would grow. We had a few lucky breaks using inbound as a tactic, but not as a way of doing business, and those lucky breaks were really hard to get. We had a couple of good breaks, in fact, but very quickly they fizzled out, and we just hit a ceiling. One of their biggest obstacles was employee churn, with many employees viewing the company as a stepping stone. With transient talent and a lack of direction, IMPACT was finding it difficult to scale, grow, or deliver the outstanding performance they wanted to be delivering for their clients. 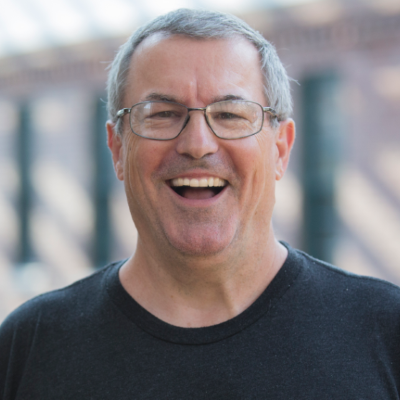 "The work we were doing for our clients was okay at best and certainly not what I, as CEO of the company, wanted or thought we should be doing. It was a very confusing time at IMPACT. So, I started doing some reading, and that led me to realize that we needed a leadership team. I also realized that we really needed to figure out our purpose, why we existed." IMPACT created a team and tasked them with defining and drafting a mission, or purpose statement. After a few iterations, they settled on, “help people and their organizations succeed.” But even with their purpose defined, the employee turnover didn’t stop. Just because you have a statement on the wall, or you hand out sweatshirts, that doesn’t actually make it a real purpose statement; that doesn’t make it alive or real in the company. To make a purpose statement alive in your organization you truly have to live it, and it takes time to come to life. A purpose statement is something that has to be nurtured, focused on, and grown. However, with their purpose defined and employee turnover continuing they began to notice some trends. Many of the people who were leaving the company were underperformers. Others who left just wanted to make good looking websites without focusing on the success of their clients. Some employees realized they weren’t a good fit and left. What they began to notice, however, was that the people who stayed, the ones who were sticking around, all seemed to share a few key values. What they realized was that, even though they hadn’t set out to define their company culture, their culture was emerging. They realized that they needed to codify their culture so that they could make better hiring decisions in the future. To do that, the leadership team set up a whiteboard and began evaluating every person in the company, listing out all the good characteristics of employees and all the negative characteristics of employees who had left. Then they began shaping what they had on the whiteboard into phrases and short sentences that described their values. We just honed it in and honed it in. Eventually, we got down to about seven characteristics, but that still felt like too many. So, we went home for the night, and when I woke up the next morning, it just clicked. 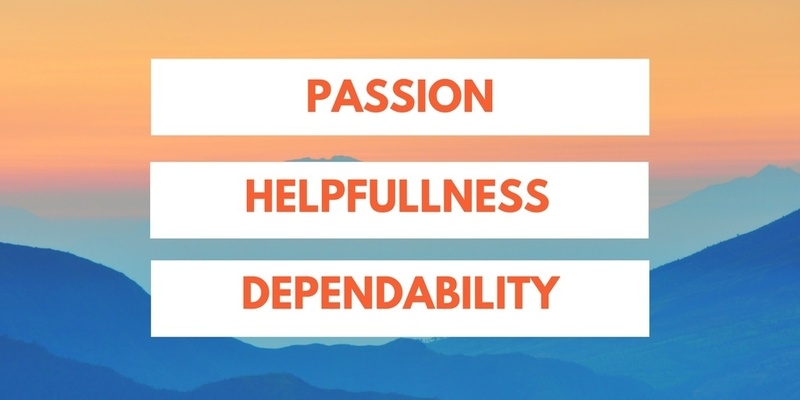 I knew our values were passion, helpfulness, and dependability. It was easy; it was three words, and that was exactly what we had wanted. We had wanted something that was ours, that was easy to remember, and that was easy to understand. We had that with passion, helpfulness, and dependability. They realized that the things that made their employees special were also the same values that their clients wanted from them as a business. Their clients needed to be able to depend on them to have the most up to date information, be passionate about their industry, and passionate about helping them succeed. To do that, they realized they needed to fill the company with naturally helpful people. They needed to hire people they could depend on to always be helpful. The next step was putting systems in place that would allow them to not only bring in talent that would share those values but also keep the entire company aligned around their three values and their purpose statement. One of the ways that they worked to attract employees who would fit their culture and reflect their values was by hiring employees to work remotely. 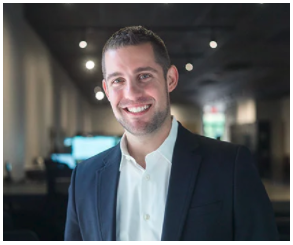 They realized that the best talent wasn’t necessarily going to be located centrally to their Wallingford, Connecticut office and focused on finding the best candidates regardless of location. This opened them up to a greater candidate pool, and they now have employees in locations as diverse as Maine, Florida, San Diego, and Alaska. Another area they focused on was creating an internal culture that fostered loyalty and retention. They wanted working for IMPACT to be meaningful and enjoyable. And it paid off. They were voted #18 best small to medium workplace by Fortune in 2017, and they now boast a 4.9/5 rating on Glassdoor. A large part of creating these impressive results was their focus on only hiring people who fit their culture, their values, and who had the skills they were looking for. To do this, IMPACT established procedures to qualify employees across a number of key cultural and skill-based requirements. Once an employee is hired, they go through an onboarding process that includes opportunities to improve the hiring process. When someone doesn’t work out, their entire lifetime at the company is analyzed and evaluated so that future hires have a better chance of being a good long-term fit. More than their hiring processes evolved as they continuously built their inbound culture out of the talented people they were hiring. Transparency emerged as a defining practice which bound their teams together. I wrote down a picture of what I thought the company should look like in three years. From revenue, to head count, to offerings, down to even the types of recognitions I’d like to see us receive as a company I wrote down as much as I possibly could. And then we sat everybody in the company down in a room, and we went through that entire document. We asked for input and for hours we took down suggestions, ideas, and the things that were important to the employees. And then we added to our vision things like the employees wanted IMPACT to be the best place to work, and to have that recognized. The employees wanted more thought leaders in the company, so we added that to our vision. Fast forward two and a half, three years and we’ve hit all of the goals in that vision plan. Having hit their goals, IMPACT is in the process of finalizing their next three-year vision. And just like the first vision, their employees are part of the process. A large part of how they’ve hit the goals in their first three-year plan came down to processes they’ve developed to keep everyone in the company focused on the same goals and moving in the same direction. gned to keep everyone on the same page. The IMPACT OS includes tools like agile project management, a scorecard for measurement, and systems for recognizing employee’s contributions. The OS also details a series of meetings that take place daily, weekly, monthly, quarterly, semi-annually, and annually. These meetings include small team meetings as well as all hands meetings. Together, all the parts of the IMPACT OS work together to keep each piece of the company moving in sync with the purpose statement and the culture so that everyone is working towards common goals. And while IMPACT has been focused on growth, the culture of IMPACT is always paramount, and they are never willing to sacrifice it simply for growth. “As the company grows we don’t want to lose that special quotient we have right now. We won’t grow if we feel that we’re risking the folks that we have right now. 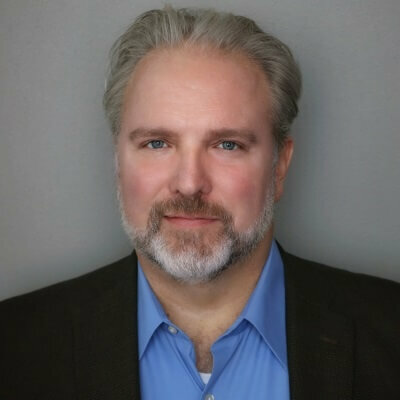 We’ll figure out how to scale the culture we have now before we figure out how to grow for growth's sake,” says Ruffolo. 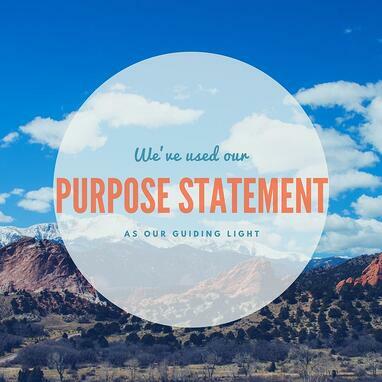 We’ve used our purpose statement as our guiding light to transform our business over the years. One way in which we did that was by realizing that for awhile our purpose statement of helping people and their organizations to succeed had a caveat. The caveat was that we’d only help them succeed if they had five thousand dollars a month to spend to hire us as an agency. We didn’t like that. That caveat didn’t reflect our values or our purpose statement. We wanted to help people and their organizations succeed regardless of whether or not they could afford to hire us as an agency. Which meant we had to change up our offerings. We needed to find ways to offer value to people, to help them, and to fulfill our purpose without any caveats. We found that we needed to change our website, offer different types of content, have lower price point offerings, offer more workshops and training, and just offer more ways to help. That’s why we started IMPACT Elite. IMPACT Elite allows us to bring people together and have more conversations with those who are already in our community, even our competitors and other agencies. We also wanted to bring these amazing people together in person, so we created IMPACT Live. We did all of this, even letting our competitors into the sacred walls of our community because that’s our purpose statement. Helping others succeed is why we exist. All of these efforts have paid off. By creating spaces where conversations could happen and offering value through helpful content, IMPACT created an inbound ecosystem that has positioned them as a thought leader in the world of inbound. Defining their purpose and values helped IMPACT overcome some serious obstacles, develop strategies and tools, and foster an inbound culture that binds the organization together across all of its employees and initiatives. IMPACT is an inbound organization.